Young children from low-income families, relative to their middle-class peers, tend to receive less support for mathematical development in their home and preschool environments. As a result, many economically disadvantaged children are not ready for mathematics when they enter elementary school. 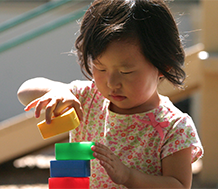 In response to these concerns, the Early Math Initiative is a WestEd project designed to help federal and state-funded preschool programs enhance mathematical development and learning in young children, including supporting the home environment. This statewide project in California is funded by a federal Investing in Innovation (i3) grant. 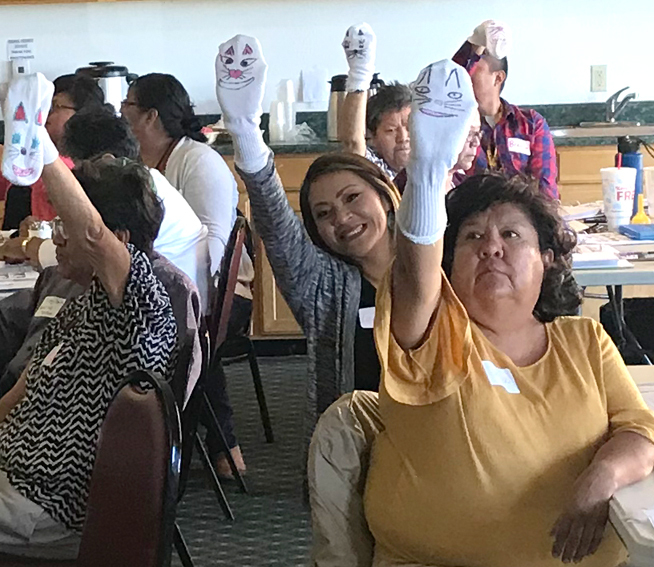 WestEd, as part of this i3 grant, has helped public preschool programs address the readiness gap through use of effective curricula, professional development, and technical assistance. We have provided pre-kindergarten and transitional kindergarten teachers with an evidence-based curriculum, Pre-K Mathematics, along with the educational tools and strategies they need to support their children’s mathematical development. We have also helped early education administrators support and sustain the implementation of these effective mathematical practices. 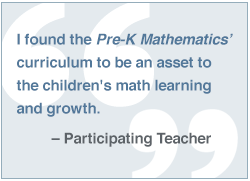 Specifically, we help schools implement the Pre-K Mathematics curriculum targeting four-year-olds. This curriculum was developed and aligned with state and other math standards, and reviewed as effective by the What Works Clearinghouse. 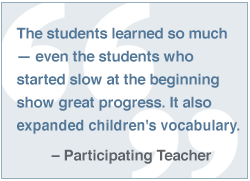 The network facilitates teacher workshops and trainer institutes focused on teaching the curriculum, and provides technical assistance for the continuous improvement of implementation of Pre-K Mathematics, including the home component. Also, in collaboration with the Region 9 Head Start Program, we facilitate “Deep Dive” workshops that provide prospective teachers and programs a quick review and sample of available curriculum activities and corresponding materials. 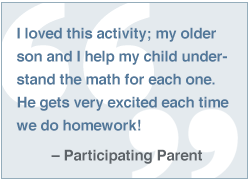 Visit the Early Math Initiative: Pre-K Mathematics Workshops for Supporting Children at Home & in the Classroom to learn more. Barnes, M. A., Klein, A., Swank, P., Starkey, P., McCandliss, B., Flynn, K., Zuckere, T., Huang, K., Fall, A. M., & Roberts, G. (2016). Effects of tutorial interventions in mathematics and attention for low-performing preschool children. Journal of Research on Educational Effectiveness, 9(4), 577-606. Klein, A., Starkey, P., Clements, D., Sarama, J. & Iyer, R. (2008). Effects of a pre-kindergarten mathematics intervention: A randomized experiment. Journal of Research on Educational Effectiveness, 1(3), 155-178. Starkey, P., & Klein, A. (2008). Sociocultural influences on young children’s mathematical knowledge. In Saracho, O. N. & Spodek, B (Eds. ), Contemporary perspectives on mathematics in early childhood education. 253-276, Charlotte, NC: Information Age Publishing. Starkey, P., Klein, A., & DeFlorio, L., (2014). Promoting math readiness through a sustainable mathematics intervention. In Bierman, K. L. & Boivin, M. (Eds.) Promoting school readiness and early learning: Implications of developmental research for practice. New York: Guilford Press. Thomas, J., Cook, T., Klein, A., Starkey, P., & DeFlorio, L. (in press). The sequential scale-up of an evidence-based intervention: A case study. Evaluation Review. 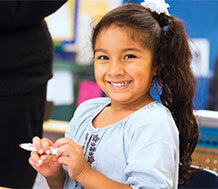 Pre-K Mathematics Training Workshops: Register Today! WestEd's Early Mathematics Training Network will provide one-day workshops to select Region 9 Head Start programs. 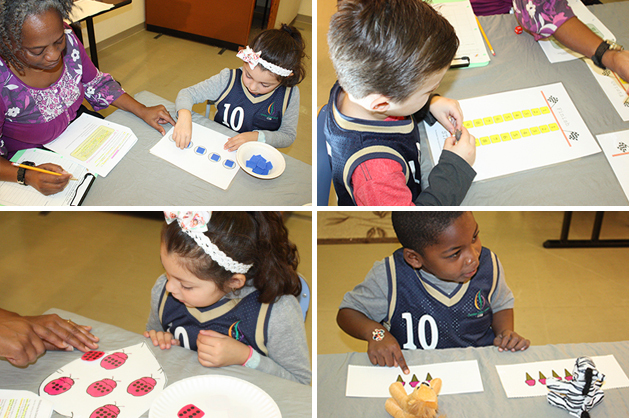 Read about a math program that is making a positive difference for preschoolers.